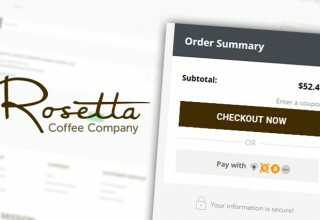 Rosetta Coffee is pleased to announce that they will be rolling out cryptocurrency payment options through Shopping Cart Elite’s advanced e-commerce platform, designed specifically for cryptocurrency. Their online store will accept Bitcoin Diamond (BCD), Bitcoin Cash (BCH), Bitcoin (BTC), Dash (DASH), Ethereum (ETH), Litecoin (LTC) and Zcoin (XZC). 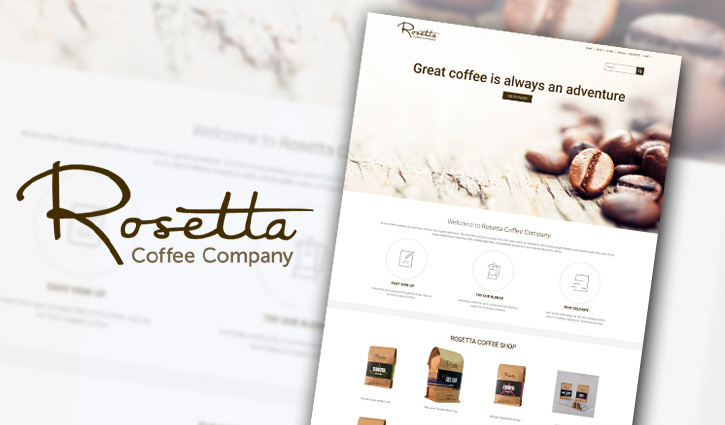 Rosetta Coffee Company is a small batch specialty coffee roaster based in Lynchburg, Virginia, and on the Outer Banks, North Carolina. Committed to selecting only the finest-quality green coffee beans, they have been roasting and distributing specialty coffee in the southeast since 2006. 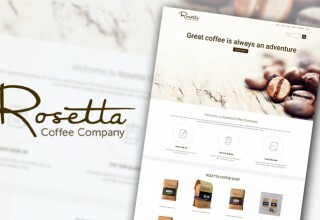 Rosetta Coffee is a popular source for whole bean coffee and brewing supplies among coffee enthusiasts, workplaces and cafés alike. 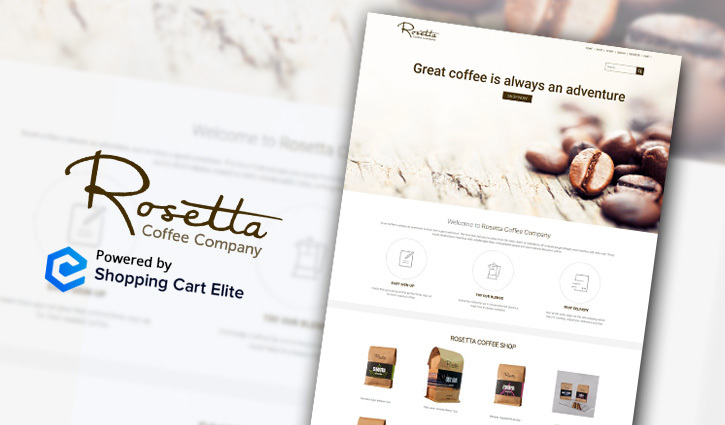 Aside from their ongoing mission of roasting delicious and innovative coffees, Rosetta aims to improve the e-commerce shopping experience for their customers. "We are excited to partner with Shopping Cart Elite to accept cryptocurrency as a payment method on our website. 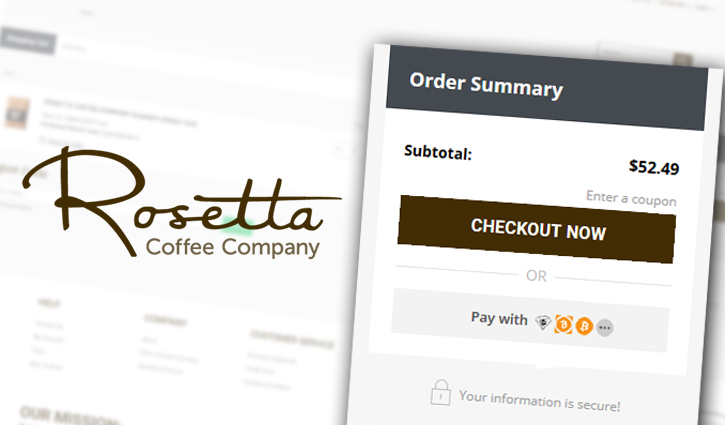 You'll be able to buy freshly roasted, amazing coffees without having to exchange for cash,” said Aaron Skeen, co-founder of Rosetta Coffee. 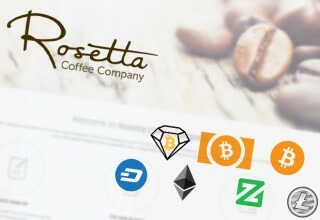 Rosetta’s adoption of cryptocurrency emphasizes their commitment to purchasing fair-trade coffee, as the farmers also directly receive benefits from this new e-commerce process. “Cryptocurrency allows them to receive payment directly and immediately without paying a middleman. They will be able to take home more of what they earn,” Skeen expressed. “We think this is awesome and it aligns directly with our mission. In the coming weeks and months, we'll be working with farmers to iron out this process and make it more accessible." While e-commerce is continuously reaching new highs and evolving more rapidly than ever, security issues, payment delays and expensive fees stemming from traditional e-commerce markets still continue to plague small businesses. 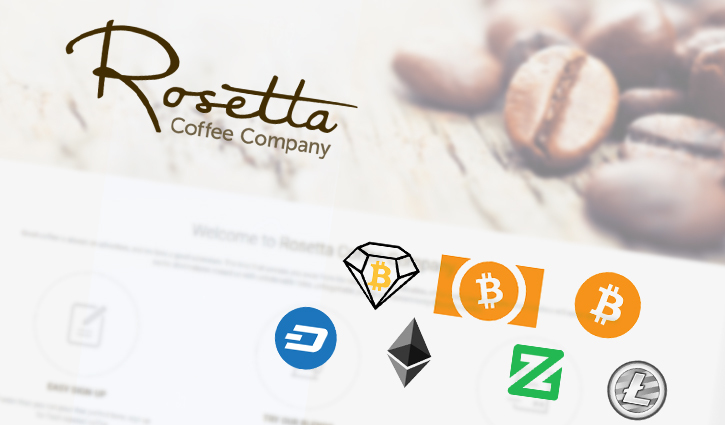 The introduction of crypto e-commerce will help small businesses like Rosetta Coffee overcome the barriers for international expansion. 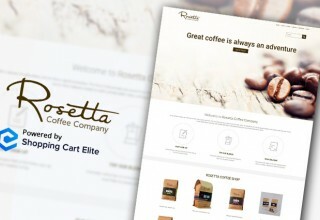 By using Shopping Cart Elite’s platform to accept cryptocurrency, Rosetta Coffee is upholding their mission of conducting fair-trade practices with coffee bean farmers while serving their customers with high-quality coffees and a seamless online shopping experience.